We are thrilled to share the news that DMRF Canada is currently seeking applications for THREE research programs. We've expanded our previously offered Clinical Fellowship to become a two-year program - and we're seeking applications for research that will lead to better clinical treatments. We're also once again partnering up with the Banting Research Foundation to offer a discovery award. All of these projects are aimed at providing a greater understanding of dystonia and a chance for patients to live their best lives with dystonia. You can learn more about DMRF research opportunities here. Special thanks to our donors and corporate partners for your support of these important projects. After many months of discussion with our teen dystonia ambassador, and input from experts, we're thrilled to share the Dystonia Guide for Teens. This is available in both soft copy and hard copy. Get the online version here. If you'd like to order some copies for yourself or for a loved one (or clinic), email: info@dystoniacanada.org. Its easier than you think! This year, you can consider asking your friends and family to make a gift to dystonia research and support programs in lieu of gifts. We've drafted a letter that you can read, edit, and send out to your network either by email or on social networks. If you're able to, please consider asking your network to donate to support dystonia research. You can send them this link to make a donation. You can help raise funds to support much needed clinical research on dystonia. So this year, skip the tie, or socks, and ask others to make a meaningful gift to support the dystonia community. Click here to check out the letter and learn more about how you can get involved! With your support, DMRF Canada accomplished a lot in 2018. From the launch of two different symposium events, to new investments into research, patient events in person and online, we've continued to grow our offering to meet the needs of the dystonia community. Thanks to all of you who have supported our efforts. To read more about our accomplishments click here. We know that dystonia can be a challenging condition to live with, affecting different aspects of your life. Symptoms and anxiety and drepssion are common with a painful condition like dystonia. On February 13, DMRF Canada will host a special webinar presentation with Mike Stroke, Founder of Starts with me. Mike will provide the group with tips, tools and practices to cultivate a sense of agency to work with the challenges associated with dystonia. 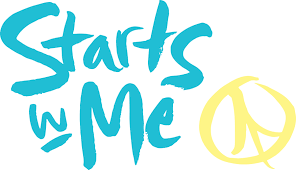 Mike Stroh, Founder of Starts with Me, has developed a 'Self Care Guide'; a great resources that provides everyday practices to improve wellbing, promote resilieance, and nurture self compassion. Give a gift that matters this holiday season. With the year coming to a close, DMRF Canada is asking our friends from the dystonia community to consider making a gift towards much needed dystonia research and support programs. We receive no government funding, and are completely reliant on the generous donations of friends like you who allow us to do our work. Every little bit helps, and would be so appreciated. Please support dystonia research and patient support programs today. Your donation will support kids like four-year old Breylynn, and her Mom, Sarah-Anne. 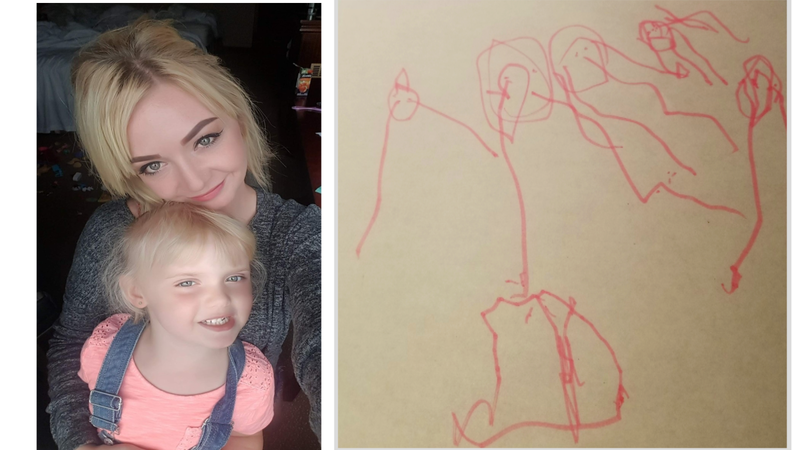 They struggle with the challenges of dystonia every day, but Breylynn believes in a happy future for her Mom (see Breylynn's drawing pictured below). To read Sarah-Anne's story, click here. You can be a part of dystonia research! 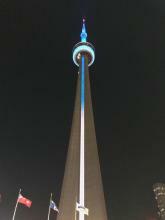 DMRF Canada is proud to support clinical trials on dystonia. If you would like to help support dystonia research by participating in a clinical trial, click here to find out how you can get involved! DMRF Canada is proud to connect patients with support groups around the country. Click here to find a group near you.